Summertime is the perfect weather to host a BBQ or cookout with family and friends. Often out-of-town guests and last minute get-togethers have a way of popping up when you least expect them. Celebrate life at its best with a little help from our favorite Bravolebrity, Patricia Altschul. 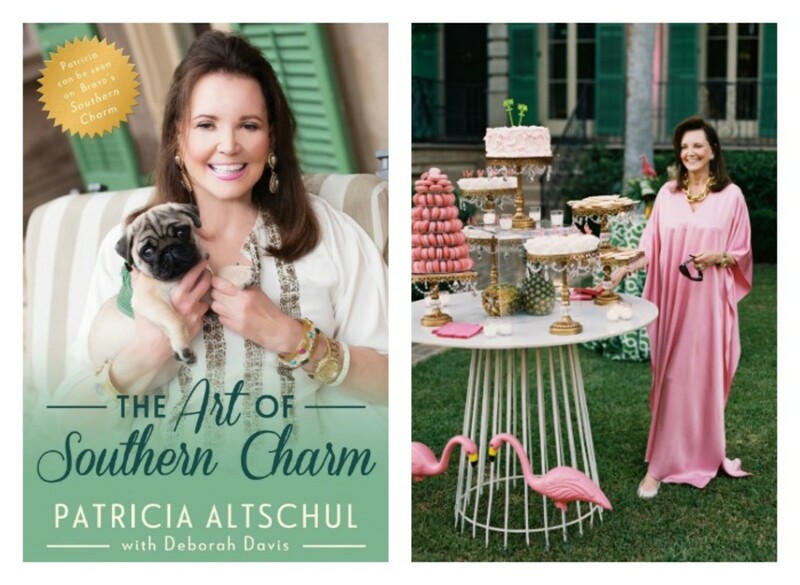 In her new book, The Art of Southern Charm, the lifestyle icon shares her secrets for hosting the most magnificent soiree with a touch of Southern hospitality. Next time you host a party, dish up some comfort food for your guests. Deviled eggs, ham biscuits, and of course pimento cheese, the caviar of the South, are always a big hit. Don&apos;t forget the Duke&apos;s mayonnaise when you whip up Patricia&apos;s delectable chicken-salad sandwiches. A true Southerner will taste the difference. Patricia makes it easy for busy moms to host a party by sharing favorite recipes complete with serving tips. No gathering would be complete without cocktails. If you are a fan of Bravo TV&apos;s Southern Charm, you know Patricia&apos;s love for a good martini. She shares her butler Michael&apos;s Perfect Martini recipe along with suggestions for preparing standing bars in your home and outdoor living space. Glassware, alcohol & mixers, and even doggie swizzle sticks are included in the grande dame&apos;s must-have list. And if you are attending a party this summer, Patricia also includes her do&apos;s and don&apos;ts for hostess gifts. Make this summer a season to remember. Pick up a copy of The Art of Southern Charm. It is more than just a Southern etiquette book. It&apos;s a lifestyle guide for moms and millennials who are in search of sage advice on entertaining, manners, and what it truly means to be a lady.